Keep up-to-date with the latest news by listening to the BBC World Service and check our story on the BBC News website. Ethiopian Prime Minister Abiy Ahmed has declared 11 March as day of national mourning. Ethiopian Prime Minister Abiy Ahmed has declared Monday as a day of national mourning for all the victims of the crash. He said, in a statement, that the crash will be investigated and "communicated promptly". A former Kenyan football administrator, Hussein Swaleh, is among the victims who died in Sunday morning crash of Ethiopian Airlines flight ET302, the Confederation of African Football (CAF) has confirmed to the BBC. The head of Kenya's football federation tweeted that it was a "sad day for football". Mr Swaleh used to be the Secretary General of Kenya Football Federation (KFF) . He was heading back to the country having served as CAF's match commissioner in a continental match between Egyptian side Ismailia and DR Congo's TP Mazembe, played on Friday in Cairo, local media report. Nigeria's President Muhammadu Buhari has sent his condolences to the victims' families and praised Ethiopian Airlines as "one of the world's most successful and efficient airlines". Emergency teams in Ethiopia are at the site of the plane crash. A BBC correspondent at the scene says there is a huge crater where the plane hit the ground. He says metal debris and personal belongings are spread over an area about the size of a football pitch. The Ethiopian Airlines Boeing 737 crashed shortly after take-off, en route to the Kenyan capital, Nairobi. David Beasley, executive director of the World Food Programme, tweets that staff members were on board the Ethiopian Airlines flight. "We will do all that is humanly possible to help the families at this painful time." The Kenyan foreign minister has been tweeting about what the government is doing to assist victims' families. Kenyan Premier League football club Sofapaka FC tweets that Hussein Swaleh, the Secretary General of Football Kenya Federation (FKF), was on board flight ET302. "Our condolences to all those affected and may they find peace at this difficult time." There were 32 Kenyans killed in the crash, more than any other nationality. Karim Saafi, co-chair of the African Diaspora Youth Forum in Europe (ADYFE), was one of those killed on the flight. The entrepreneurship forum posts on Facebook that Saafi was en route to Nairobi to represent ADYFE at a meeting of the African Union in Nairobi. "Karim's smile, his charming and generous personality, eternal positivity, and his noble contribution... will never be forgotten", the post reads. A Nigerian journalist has tweeted that news of the Ethiopian Airlines crashing has brought back sad memories of 1996, when one of the airlines' plane crashed in the Indian Ocean after it was hijacked. That plane had also been travelling to Nairobi from Addis Ababa. A spokesman for India's ministry of external affairs, Raveesh Kumar, says its embassy in Addis Ababa is in touch with local authorities and Ethiopian Airlines. Four Indian citizens were on board the flight when it crashed. In an updated statement, the plane's manufacturer Boeing said its technical team "will be travelling to the crash site to provide technical assistance". The team will be under the direction of Ethiopia's Accident Investigation Bureau and the US National Transportation Safety Board. Uganda's President Yoweri Museveni tweets his "heartfelt prayers and condolences" to all affected in the crash. One Ugandan was on board flight ET302. An aviation analyst has shared a clip of his interview with Turkish TV station TRT where he defends the safety record of Ethiopian Airlines. He says that linking the airline's safety record to the 1996 hijacking of its plane which later crashed in the Indian Ocean was "irresponsible". President Emmerson Mnangagwa says: "Our thoughts and strength go out to our African brothers and sisters." In another press release, Ethiopian Airlines says it has "already contacted the families of the victims to inform them of the tragic accident". 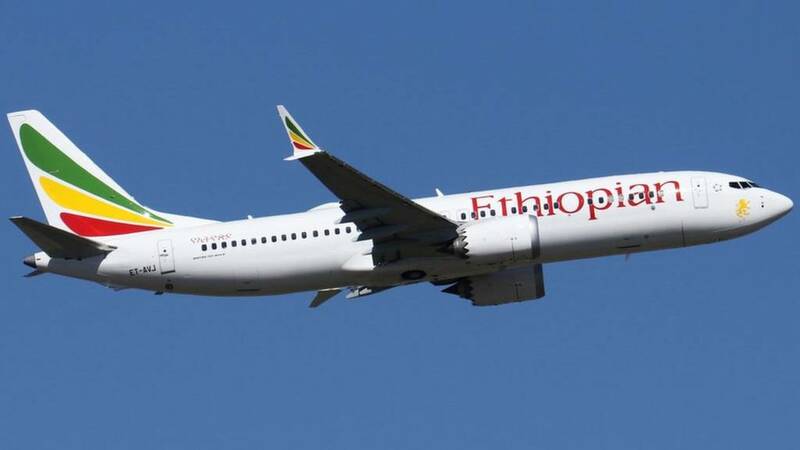 It also says the company has teamed up with the Ethiopia's Civil Aviation Authority and Transport Authority to investigate the crash. "All stakeholders" will take part in the investigation, including the aircraft manufacturer Boeing.